Today, I’ll be showing you how to make Parmesan cheese at home using our simple yet tried and tested recipe. To fully appreciate Parmesan cheese, you need to know its history, my favorite baked chicken Parmesan recipe and of course some nutritional facts. That and much more, let’s get to it! Also referred to as Parmigiano Reggiano, is perhaps the most revered of Italian cheeses. Parmesan is a hard, granular cheese that has been produced in and around the province of Parma in Italy for at least the past eight centuries. Naming cheeses after their place of origin is a concept that dates back to the Roman Empire. It is made using unpasteurized cow’s milk. The cows are allowed to graze on fresh grass and hay. The earliest mention dates back to 1254 when an Italian Noble lady from Genoa traded her house for a guaranteed annual supply of 53 pounds of cheese. The French and Italian Nobles had close ties and soon enough Parmesan found its way to France. By the close of the 14th century, it had travelled from the Parma-Reggio region over the Apennine mountains to Tuscany. From there, ships leaving from Livorno and Pisa carried the precious cargo to many other Mediterranean ports. Parmigiano Reggiano is legally the only hard cheese that can be called Parmesan. European courts acknowledged the historical fact that the cheese has its origins in the Parma-Reggio region of Italy. The European court’s ruling meant that it needs to conform to the Protected Designation of Origin standards for Parmigiano Reggiano. Earlier on in 1954, the pioneering alliance of Italian cheese makers renamed their organization the Consorzio Del Formaggio Parmigiano-Reggiano. Since then, the official name of the cheese stuck as Parmigiano Reggiano, which is indicated by pin dots imprinted on each wheel’s rind. Members of the Consorzio Del Formaggio Parmigiano-Reggiano follow strict production standards and work together to market Parmesan while protecting the name from would-be imitators. Ten litres of skimmed cow’s milk. Lipase (as per the manufacturer’s instructions). A quarter teaspoon of thermophilic starter culture. 5mls of rennet diluted in a quarter cup of water. Add in the lipase and starter cultures then stir thoroughly. Cover the milk and leave it to ripen for about 15 minutes. Add in the diluted rennet and then stir thoroughly. Keep checking for a clean break. Afterwards, carefully cut the curd into equal 1 centimetre cubes then leave them for 10 minutes. Heat the curds to raise the temperature to 46°C over 45 minutes. Line your cheese mold with cheesecloth and gently ladle your curds into the mold. Remove from the cheese from the mold and the cheesecloth. Soak it in saturated brine for 24 hours. 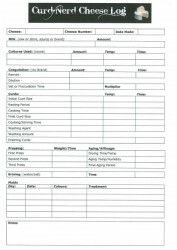 Turn it daily for the first 2 weeks. After 2 months have elapsed, rub the cheese with olive oil to prevent the rind from drying out. You should age it for at least 10 months. Cheese connoisseurs, however, recommend preferably aging it for 12 months before enjoying it. If you want to keep it fresh, proper storage is absolutely necessary. It should be wrapped in plastic wrapping and put in the refrigerator. Parmesan that has prolonged exposure to air starts to turn white and the rind starts to thicken. Genuine Parmesan can be described as having a hard, gritty texture. It has a nutty and fruity taste that can be used to identify imitations. Fake or inferior products marketed as Parmesan has a bitter taste. Piave is as close to Parmesan as you can get. It is similar in texture and flavor. 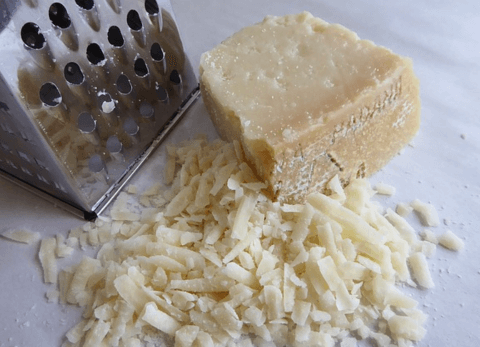 Pecorino Romano is another suitable replacement that is perfect for grating well on pasta. Grana Padano is the third best Parmesan alternative. It has a mild flavor and is less crumbly. Parmesan can be used to make a wide variety of tasty gourmet meals. You can shred (grate) it, this being the most popular method, shave it, cut or slice it and even use it as a powder. My all time favourite recipe is below. A simple yet surprisingly tasty recipe you can put together in under an hour. This recipe is similar to what you’d find in a restaurant with the only exception being there’s less sauce and tons of flavor. With some boneless chicken breasts, some breadcrumbs, grated Parmesan cheese and some herbs you can create a taste experience unlike anything else you’ve tried in the past. I like to fry my chicken breasts till they’re crispy and golden brown before throwing on the herbs and cheese then baking it for 20 minutes at 450F. One word, perfection. Cabernet Sauvignon, Sangiovese, Chardonnay, Shiraz, Sauvignon Blanc, and Merlot are some of the wines you should pair this exceptional Italian delight with. A 100gram slice contains 431 calories of which Proteins form 27%, Carbohydrates 13%, and Fats 60%. Also containing Calcium, Iron, Vitamins D, B-6, B-12, and Magnesium. Can I eat parmesan cheese when pregnant? As far as pregnancy and safety go, it is safe for consumption by expectant women. But always check with your health care professional. Being a hard cheese, it contains way less moisture hence is unlikely to support any bacterial growth. I hope you enjoyed learning how to make Parmesan cheese at home. Please share your stories and pictures with us. Do you have any questions, comments or suggestion? Join the discussion over at the Curd Nerd Forum. We love to hear from you! Hi Corry. Sorry I don’t know of stockists in South Africa but have you tried ordering from Amazon or the likes? There is this product at Amazon that is perfect for Cheese Making. First off, thanks for sharing! My farmhouse cheddar is progressing well from what I can tell. Unfortunately my attempt at this parmesan turned into a disaster. I never got my curd size down to the size of rice. I think I cooked it too quickly and it would clump like scrambled egg as I was stirring it with the whisk. My thermometer was also not inserted deep enough and after 45 mins I actually had a temperature of 51 C. Do you have any advice on saving this batch? I assume it will not become parmesan but can I do anything else to end up with something?